NEW DELHI: Gold prices recovered by Rs 50 to Rs 30,800 per ten gram in the national capital today on scattered buying amid a firm global trend. Silver also rose by Rs 260 to Rs 45,200 per kg on fresh buying by stockists and industrial units for the ongoing marriage season. However, Gold of 99.9 and 99.5 per cent purity in Mumbai declined by Rs 60 each to Rs 30,480 and Rs 30,330 per ten gram, respectively; while silver rebounded by Rs 150 to Rs 45,750 per kg. Traders said scattered buying for the ongoing marriage season and a firm global trend mainly led the recovery in the precious metals. Gold in New York, which normally sets price trend on the domestic front, traded marginally up 0.07 per cent to $1,291.80 an ounce. 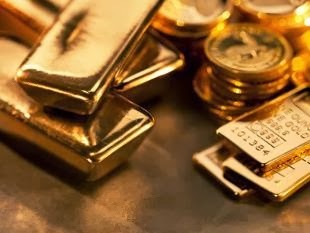 On the domestic front, gold of 99.9 and 99.5 per cent purity recovered by Rs 50 each to Rs 30,800 and Rs 30,600 per ten gram respectively, while sovereign met with resistance and declined by Rs 50 to Rs 25,300 per piece of eight gram. In a line with a general firm trend, silver ready rose by Rs 260 to Rs 45,200 per kg and weekly-based delivery by Rs 120 to Rs 44,760 per kg. Meanwhile, silver coins remained steady at Rs 86,000 for buying and Rs 87,000 for selling of 100 pieces.